The tradition relates how, after many doubts and difficulties, “the mother obeyed and after consulting with the clergy in charge of the church, the picture of the Virgin was placed in St. Matthew’s, on the 27th of March, 1499”. There it would be venerated during the next 300 years. 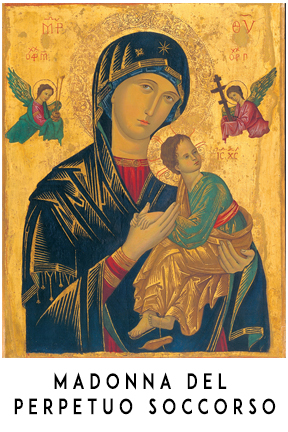 Thus began the second stage of the history of the icon, and devotion to Our Mother of Perpetual Help began to spread throughout the city of Rome. St. Matthew’s Church was not grand but it possessed an enormous treasure that attracted the faithful: the icon of Our Mother of Perpetual Help. 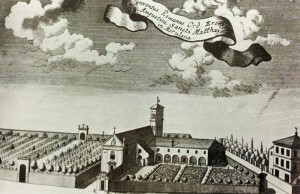 From 1739 to 1798, the church and adjacent monastery were under the care of the Irish Augustinians who had been unjustly exiled from their country and used the monastery as a formation center for their Roman Province. The young students found an asylum of peace in the presence of the Virgin of Perpetual Help while they prepared themselves for priesthood, the apostolate and martyrdom. 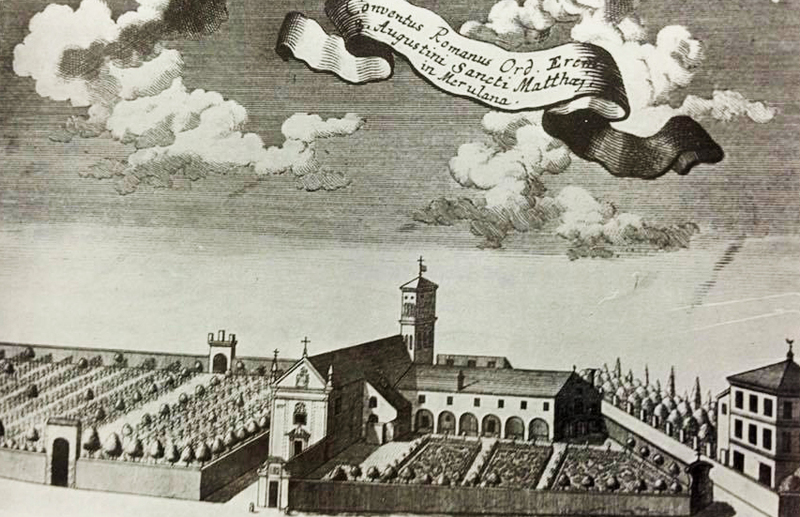 In 1798, war raged in Rome and the monastery and church were almost totally destroyed. Several Augustinians remained there for a few more years but eventually they, too, had to leave. Some returned to Ireland, others to new foundations in America, while the majority moved to a nearby monastery. This last group brought with them the picture of Our Lady of Perpetual Help. Thus began the third stage of her history, the “Hidden Years”. In 1819, the Irish Augustinians moved to the Church of St. Mary in Posterula, near the “Umberto I” bridge that crosses the Tiber River. 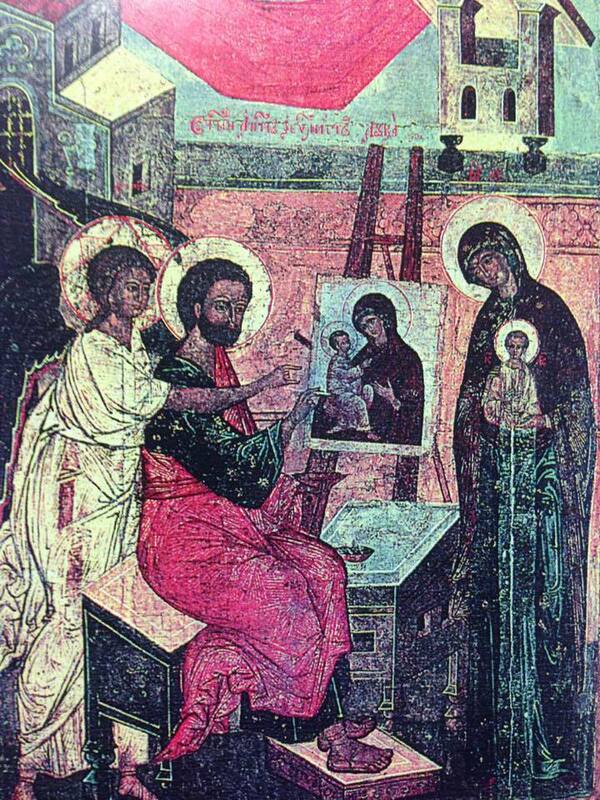 With them went the “Virgin of St. Matthew’s”. But as “Our Lady of Grace” was already venerated in this church, the newly arrived picture was placed in a private chapel in the monastery where it remained, all but forgotten, but for Brother Augustine Orsetti, one of the original young friars from St. Matthew’s. 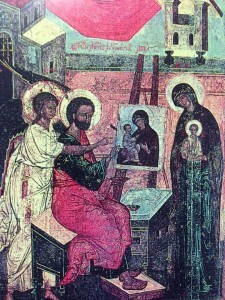 The years passed and it seemed that the picture that had been saved from the war that destroyed St. Matthew’s Church, was about to be lost in oblivion. In January of 1855, the Redemptorist Missionaries purchased “Villa Caserta” in Rome, converting it into the general house for their missionary congregation that had spread to western Europe and North America . On this same property along the Via Merulana, were the ruins of the Church and Monastery of St. Matthew. Without realizing it at the time, they had acquired the land that, many years previously, had been chosen by the Virgin as her Sanctuary between St. Mary Major and St. John Lateran. 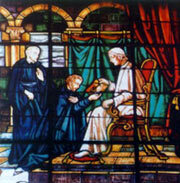 According to tradition, this was when Pope Pius IX told the Redemptorist Superior General: “Make Her known throughout the world!” In January, 1866, Fathers Michael Marchi and Ernest Bresciani went to St. Mary’s in Posterula to receive the picture from the Augustinians.